The cave is a portable and foldable tent. 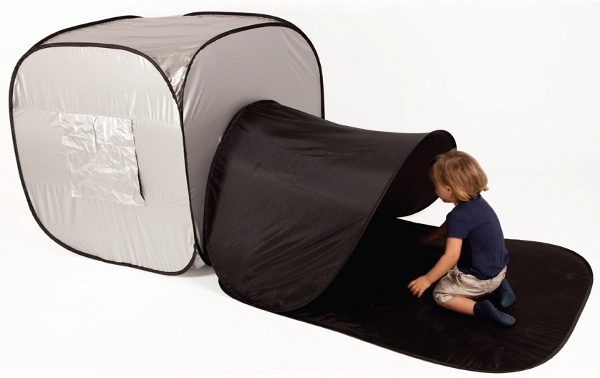 It has a nylon double skin to get complete darkness inside. For sensorial stimulation and different games. Cave measures: 1m3. Tunel measures: L: 4,5m Diameter: 48mm.